One way to build out a smart home is to buy lots of components—sensors, smart bulbs, security cameras, speakers, and whatnot—and connect them all to a hub that helps them communicate with each other and with you, via your smartphone. But let’s be real: That can involve spending a lot of money and investing a lot of time. And for some people, it’s just overkill. 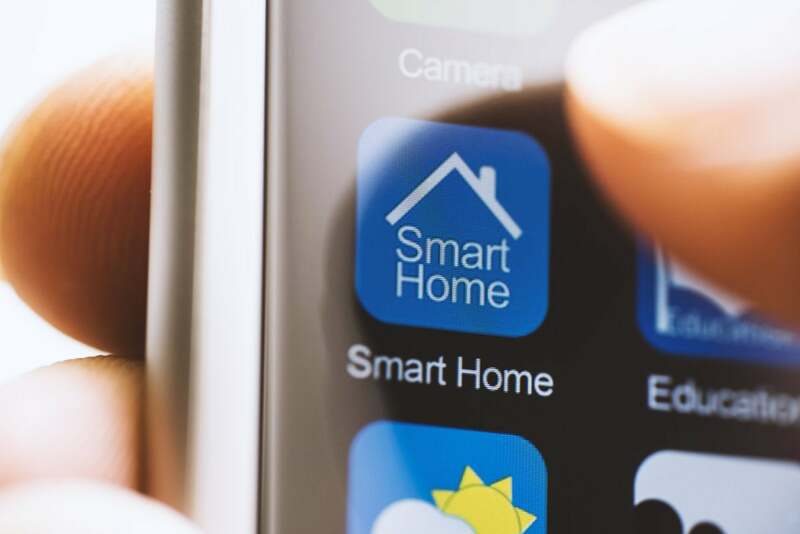 If your wants and needs are simpler, just a few relatively inexpensive products will deliver most of the conveniences a high-end smart home can deliver, and on a much more modest budget. And if you make sure those smart home products are compatible with each other, you’ll build a solid foundation that you can expand over time. The key is knowing which smart home products don’t depend on a smart home hub to operate. While hubs offer advantages—the most important of which is having a single user interface to control everything—they’re not always essential. One thing you must have, however, is a good wireless router—ideally one that can reach all corners of your home. Here some of the a few common ways you can build a hub-free smart home system. For most people interested in living in a smart home, lighting is the entry point. Many smart lighting systems work perfectly well without a central hub and are still capable of interacting with other smart home elements. 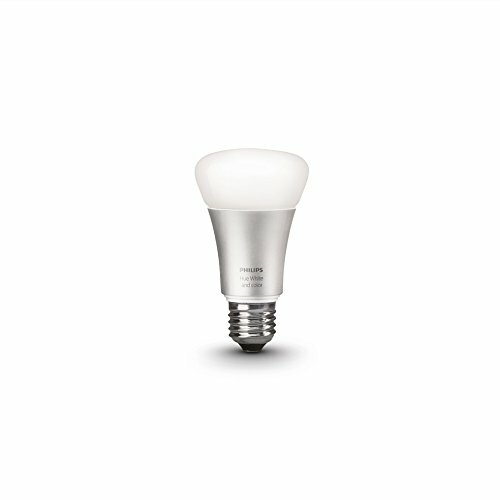 Bulbs from LIFX and TP-Link, for example, communicate over Wi-Fi, while some others communicate via the Bluetooth radio in your smartphone. 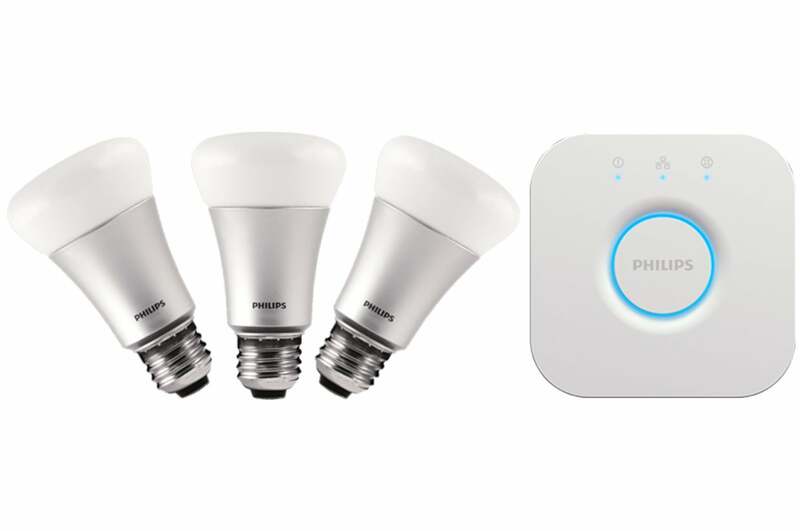 Philips leads the smart lighting market with its Hue series of bulbs and luminaires. While they don’t require a smart home hub to operate, they do depend on a ZigBee to Wi-Fi bridge that’s included with each of their starter kits. Still other smart bulbs, including Philips Hue, Cree, and Sengled Element, rely on ZigBee radios and therefore must have a ZigBee-to-Wi-Fi bridge connected to your router. You can control any of these smart bulbs with an app on your smartphone or tablet, which you can also use to program lighting scenes and schedules. If most of your home’s lighting is in the ceiling and controlled by a switch on the wall, you might be better served by replacing those dumb switches with smart switches and dimmers, instead. That’s because a smart bulb becomes dumb the instant you turn off the switch controlling it. Leviton, TP-Link, Lutron, Ecobee, and other manufacturers make smart light switches that operate on your Wi-Fi network and don’t require a central hub. Check out Noon Home’s system for a super sophisticated, but relatively expensive, lighting control system. If you use lamps for most of your lighting, a smart plug such as the Wemo Mini will enable you to turn the lamp on and off—and dim its dumb light bulb—with a smartphone app. What’s more convenient than pulling out your smartphone to dim the lights on movie night? Saying “dim the lights” and having a smart speaker linked to your smart lighting do it for you. 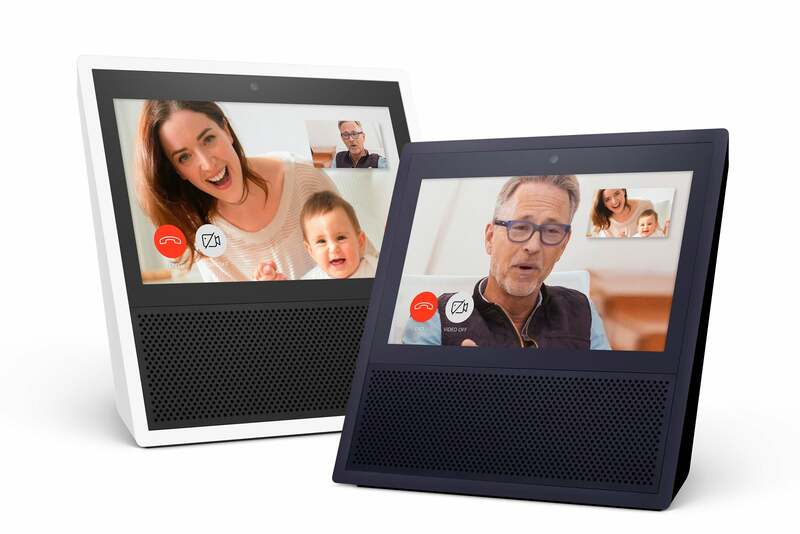 The Amazon Echo series and Google Home series are the market leaders in this space. And while Amazon has held the lead for the past few years—it has a much larger installed base, has enjoyed much broader support, and had the only smart speakers with displays for a time—Google is coming on very strong. A display adds a lot of features to a smart speaker. You can watch movies on it, stream a live feed from your home security camera, use two of them as an in-home video intercom system, and even make video phone calls (units without displays can make voice calls). You’ll increasingly find the two companies’ digital assistants—Amazon Alexa and Google Assistant—in unique third-party products. 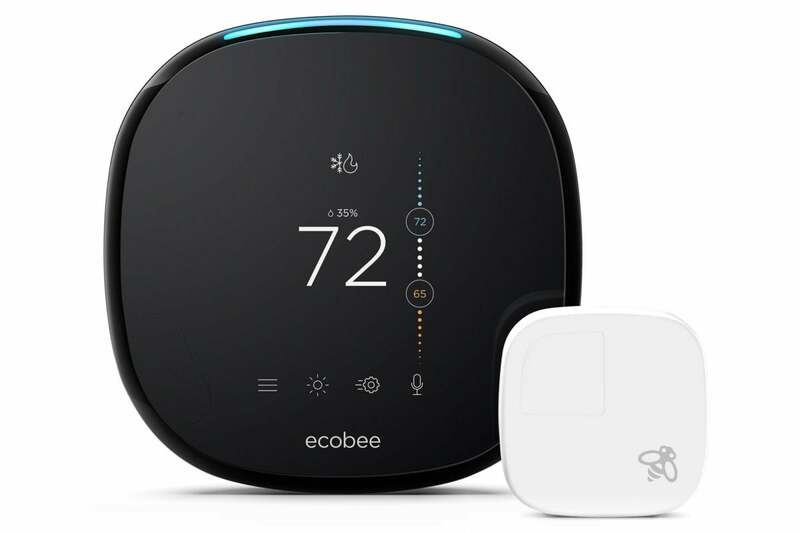 Ecobee puts the guts of an Echo in its Ecobee4 smart thermostat and Ecobee Switch+ smart switch, while Lenovo was first to market with Google Home devices outfitted with displays (the Lenovo Smart Display series). And because these smart speakers have been so widely embraced by other smart home device manufacturers, they have become de facto hubs in their own right, serving as a central interaction point for everything from smart lights to home security cameras, displaying video feeds from the latter on connected TVs or their own displays, if equipped. Few smart home devices can match a smart thermostat’s ability to deliver both comfort and cost/energy savings. These devices go far beyond establishing a heating and cooling schedule based on when you anticipate being home to enjoy those benefits. They can detect when you’re home and when you’re away, so that your HVAC system operates only when it’s needed. The Ecobee4 is our favorite smart thermostat. It not only uses sensors to cue your HVAC system to heat or cool based on the room you’re currently occupying, it also features a built in Amazon Echo smart speaker. The latest trend on this front is to equip thermostats with sensors that you can put in the rooms you occupy most frequently, so that the thermostat operates on the basis of where you are in the house, instead of triggering heating and cooling cycles based on the thermostat’s location, which is typically in a hallway you only ever pass through. The Ecobee4 is our current favorite smart thermostat because it comes with both sensors and integrated Amazon Echo smart speaker. We also like the offerings from Nest Labs, the company that did the most to jumpstart the smart thermostat market. A quality home security camera will enable you to keep a watchful eye on your home, especially while you’re away. Indoor models can help you monitor your children and pets, while outdoor models can catch prowlers in the act—and hopefully discourage them from coming around in the first place. Some models—from Ring, Netatmo, and Maximus—incorporate lights that can illuminate your way. Cameras incorporated into doorbells can monitor your front porch and let you interact with visitors without needing to approach the door—or even be home at the time. Sophisticated multi-room speaker systems from the likes of Sonos, Yamaha (MusicCast), and Denon (HEOS) are largely self-contained, enabling you to drop speakers in multiple rooms in your home so you can stream music from your own collection or from online services such as Spotify to all of them in sync, or to send different tracks to each one. 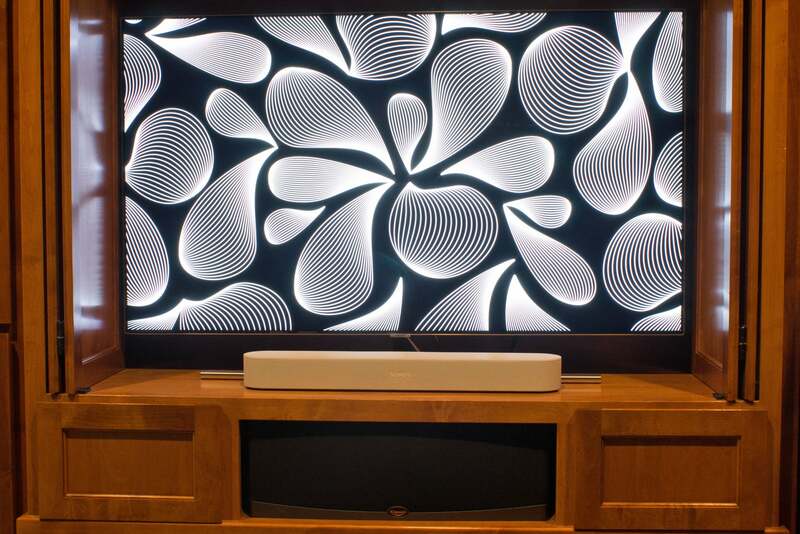 Using the soundbar in front of your TV to control the lights in your home theater? It’s easy with a speaker like the Sonos Beam that’s imbued with Amazon’s Alexa digital assistant. Several companies have soundbars in their collections, so you can improve your TV- and movie-watching experiences when you’re not listening to music. In each case, a smartphone or tablet is all you need to control everything. Some Sonos models even include Amazon’s Alexa digital assistant, rendering them capable of controlling other smart home devices. Conventional smoke and carbon monoxide detectors are inherently dumb devices. Their alarms might be loud, but if no one’s home to hear them, what good do they accomplish? A smart smoke detector will sound a local alarm, too, but it will also send an alert to your smartphone—and to anyone else you authorize as a contact—if danger is detected. Nest Labs makes our favorite smart smoke and carbon monoxide detector. If you also have a Nest Smart Thermostat, the smoke detector can instruct the thermostat to shut down your HVAC system if there’s a fire, so smoke isn’t circulated to every room in your home. 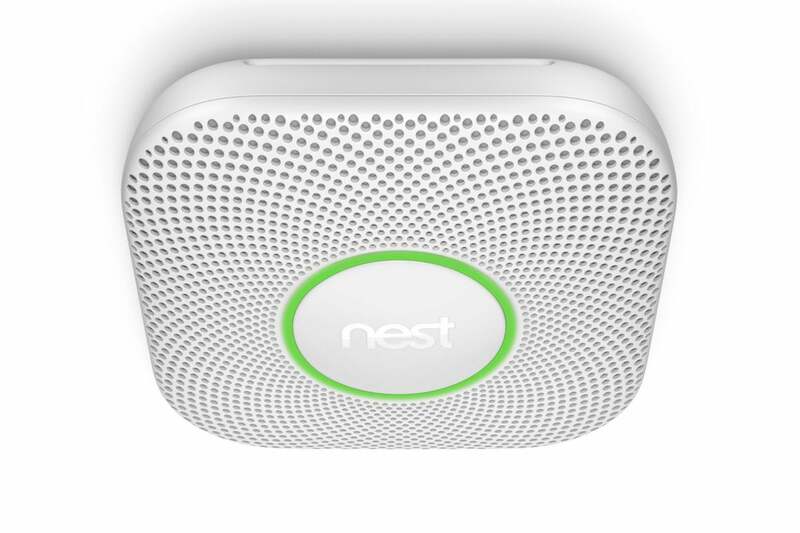 Some smart smoke alarms, such as the Nest Protect, incorporate emergency lights that can help you find your way out of a smoke-filled home; others, such as the new First Alert Onelink Safe & Sound, include advanced features such as an integrated smart speaker. If money is an issue, Roost offers a less-expensive alternative: A smart battery that can make your existing smoke detector more intelligent. Water is our most precious resource. A smart irrigation system can help ensure your lawn and garden get enough moisture to be healthy and vibrant without wasting any of it. And of all the smart home subsystems you can invest in, this might be the one that will benefit the least from being incorporated into a hub. Smart irrigation systems can also be complex, so using a purpose-built app is usually better anyway. IFTTT (If This Then That) is like having a smart home hub in the cloud. It can enable thousands of smart home devices to interact with thousands of other smart home devices. One of the most powerful ways of making disparate smart home devices work together is to open a free account with IFTTT. The acronym stands for “If This Then That,” a free service in which an action by one device (or service) can trigger one or more other devices. IFTTT is very much like having a smart home hub in the cloud, and it’s widely supported—and not just by smart home products and services. IFTTT is super simple to use: You just create what’s called an applet by going to the IFTTT website and then pointing and clicking on the service or device you wish to use as a trigger (the this in If This Then That), linking them to your IFTTT account, and then you point and click on the service or device you wish to act when that trigger is activated. If you want to give it a try, the IFTTT site includes thousands of premade applets that you might find useful. One, for example, will trigger your Philips Hue smart bulbs to flash when a timer you set on an Amazon Echo runs out. Expressed as an applet, this would be “When the timer on my Amazon Echo runs out” (the if this half of the applet), then flash my Philips Hue smart bulbs (the then that half of the applet). We’ve listed smart home components roughly in the order we think most people will go about installing them, but there is no hard and fast rule. If you think installing a smart smoke detector is a higher priority than smart lighting, go for it! If you think you might want to invest in a smart home hub that will pull all these components together under a single user interface, just make sure all the bits and pieces you buy will work with one of the most common hubs: A Samsung SmartThings, a Wink Hub 2, an Iris by Lowe’s, or another system that can host third-party devices. Much of the ultra-cheap, generic smart home gear you’ll encounter when shopping won’t be. The hub manufacturers’ websites will inform you as to which devices each one can support. Including such compatibility in your buying criteria today will maximize the value of your initial smart home investments down the road.